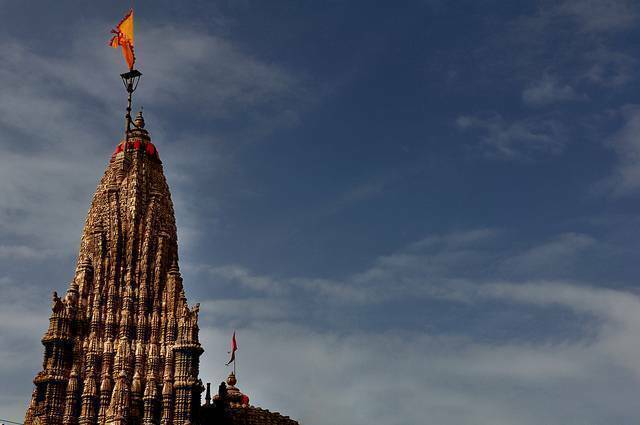 The Dwarkadhish temple is also known as Jagat mandir and Trilok Sundar. The temple is believed to be built by Vajranabh, the great grandson of Lord Krishna, more than 2500 years ago. The roof of the temple is 43 m high and carved exquisitely. It is believed that the temple has two gates one which leads to the heaven and another which leads to liberation. The magnificence of the structure is improved by the flight of 56 steps leads to the beautiful river Gomati. The temple is five-story edifice, which is built using soft limestone. The temple is a must visit for spiritual seekers and devotees.